This week we find out what it takes to save a life, from doctors performing open chest surgery in the street to helping people recover in the longer term from severe brain injuries. Plus, news of a real invisibility cloak, how caffeine gives us a boost, and why scientists need you to quiz your dog. John - Sleep is regulated by two processes. One of them is a homeostatic drive. The longer you've been without sleep, the more you need to sleep. But the other part of when we sleep is the circadian rhythm and the circadian rhythm controls when we're most likely to go to sleep. 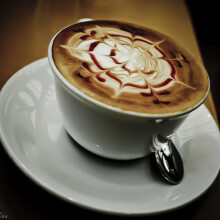 And so, the first aspects of how caffeine works has been studied quite intensively over the last few decades. But no one had really addressed the extent to which the body clock is affected by caffeine. And so, that's what we looked at. Graihagh - And how did you go about looking at that? John - Over in the states, at the University of Colorado in Boulder, my colleague, Ken Wright took several individuals and placed them in constant conditions for 49 days. What he did was give them either a placebo pill or caffeine and then look at how the melatonin rhythm was affected by caffeine. Now, just to tell you about melatonin, it's the main hormone of night. It makes you feel sleepy. What Ken observed was that in response to a caffeine pill equivalent to a double espresso at 3 hours before their normal bedtime, that surge in melatonin is delayed by nearly an hour. Graihagh - What's the effect of that then? Do you just go to sleep an hour later? John - Effectively yes and the consequence of that is that left to your own devices, you would sleep an hour later. But of course, most people would have to get up for work and so, the real consequence is that you just simply get less sleep. Graihagh - So, this is in the group studies in people but you in your lab, you've looked at this at the cellular level. John - That's absolutely right. So, the really fascinating thing for me is that this biological rhythm in humans is something that's present in every single cell of the body. And so, I could take a scraping of your skin cells and grow them in a petri dish and they would continue to have this 24-hour rhythm. And so, that really gave us a handle to get at the mechanism of what's going on in a person when they take caffeine or when they drink a coffee. Because of course, all of these same target proteins that are bound by caffeine, things like adenosine receptors and phosphodiesterases, all of those are present in pretty much every human cell type. It allows us to really pharmacologically dissect the mode of action of caffeine upon the cellular circadian rhythm. Graihagh - And this mechanism that you're talking about, the proteins binding with the caffeine, that wasn't known before? John - So, in the context of sleep and arousal, it's been accepted in the sleep field for quite a long time. But the thing that had not been considered previously really was that caffeine affects the circadian clock in cells, again, through adenosine receptors. So, we could rule out all of the other suggested targets of caffeine. Graihagh - As a frequent coffee drinker myself, what sort of message should I be taking away from this, that I shouldn't be drinking coffee after 3 pm? John - I think it depends on your natural - what we call, chronotype. So, your chronotype is your innate tendency to get up at a particular time. And so, there's some wonderful research done by (Tole Rhomberg and Russell Foster) showing that as we age, going from toddlers, through to our late teens and early 20s, we naturally get later and later, and later but then after that, we get earlier and earlier, and earlier again so that a toddler and someone in their 70s is naturally waking up very, very early. Graihagh - So, you should have kids when your 70. Does that work? John - Or you should have grandparents, yeah. But within that, there is obviously an enormous variation. And so, something that is potentially useful is that if you know you're a lark and yet, you have to do a job that involves you behaving more like an owl, it might be useful to you to take caffeine at an intelligent time to actually delay your circadian clock by just enough that you can get up a little bit later and stay up that bit later. To do so, so as to avoid the loss of sleep because of course we know that not getting enough sleep associates very strongly with obesity, some metabolic disorders, cardiovascular disease. And so, that's something that you really want to watch out for. But certainly, if you're naturally a lark and you want to stay up later then the intelligent use of caffeine might be able to help with that. Scientists in Ireland may have found a new way to stop an individual developing Alzheimer's Disease. Alzheimer's occurs owing to a build up in the brain of a toxic material called amyloid beta, which kills nerve cells. Reducing the levels of amyloid beta in the brain should therefore cut the risk of Alzheimer's occurring. Researcher Matthew Campbell has found a way to do this by deactivating two molecules - called claudin-5 and occludin - which control the "blood brain barrier". Temporarily disarming the barrier allows the beta amyloid to be carried away harmlessly in the bloodstream. He explained his findings to Chris Smith. Matthew - In our brains at the moment, we are producing amyloid beta and it's able to get out of the brain via the blood-brain barrier. Something is happening in Alzheimer's disease that is preventing this material from getting out of the brain. 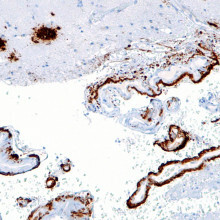 In patients who have Alzheimer's disease, this material builds up to such an extent that it eventually begins to kill brain cells. If they're the cells that allow you to make memories, that allow you store memories, well then those memories would be gone forever and they won't come back. Chris - What do you think is governing that process then and why does it go wrong? Matthew - In all our blood vessels in our body, there are cells that we term 'endothelial cells'. There are specific - what we term 'receptors' on the endothelial cells and what these receptors do is they allow for material to remove from brain to blood and blood back into the brain. 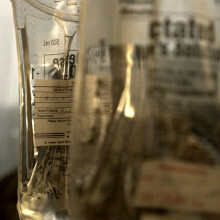 Now, in ageing, we lose the potential to be able to transfer this material from brain into blood and blood into brain. And some people for whatever reason, we still aren't fully certain, are more susceptible to these processes slowing down. Chris - So, what have you found now that might influence that process? Matthew - What we've discovered for the first time is that this molecule - amyloid beta - itself can open up these junctions between endothelial cells and facilitate its own movement from brain back into blood. Chris - How does the amyloid beta open up the blood-brain barrier? Matthew - In effect, what we've discovered is that amyloid beta can itself decrease the levels of these two components. One of them is called claudin-5, the other one is called occludin. These components hold endothelial cells together very, very tightly. If we can now go ahead and design drugs that specifically target these molecules, it could lead to a therapy that could allow for the clearance of amyloid beta from brain to blood in the context of Alzheimer's disease. Chris - Summarising that then, the brain makes amyloid beta. Normally, this would exit harmlessly into the bloodstream. It probably is doing that, you're saying because it stimulates the blood-brain barrier to open up a little bit for some reason this process goes wrong in people who are destined to develop Alzheimer's disease. But if we could crowbar-open the blood-brain barrier again, we might be able to encourage this stuff to come back out of the brain. It wouldn't accumulate and that should stop someone developing Alzheimer's disease at such a high rate as they would've done. Matthew - Exactly. So, what we need to do when we're thinking of therapies is to get in pre-emptively before the damage has gone to such an extent that the cells that we're trying to preserve have actually died. Chris - How do you know this is going to work? Matthew - We have mice that have genes that cause Alzheimer's disease. So, we have shown in these animals that we control claudin-5 and occludin levels. Over time, we can decrease the levels of amyloid beta in their brains and lead to better cognitive performance in these mice as well. We also recently have data from a non-human primate study whereby we've shown that the molecule that we use that targets these molecules, claudin-5 and occludin, is very, very safe when it's administered into a vein of a larger animal such as a non-human primate. So, it gives us a lot of hope that we're on to something here that this could be a new form of therapy for Alzheimer's. Chris - Is there not though a potential risk of there being a problem because the blood-brain barrier is being rendered deficient or defective by what you're doing? Matthew - It's a really, really good point and it's something we have to be very, very acutely aware of as we move towards clinical deployment of this. But we've dosed some animals for up to a year with the material that modulates the blood-brain barrier. There's very, very limited effects in the animals. The safety profile of this approach is very, very strong. So, we have a lot of hope that it's actually quite safe. Chris - It's very encouraging, isn't it? That was Matthew Campbell from Trinity College Dublin, describing the study that he's published this week in Science Advances. Could a Mediterranean diet really cut cancer risk? Stories about diet and cancer risk dominate the headlines, but how much should we trust them? 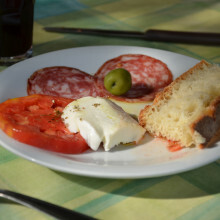 Research this week suggests that olive oil, and a Mediterranean diet can cut breast cancer risk. Yinka Ebo, Health Information Manager at the charity Breast Cancer Now - who weren't involved in the study - explained more about what the researchers found to Kat Arney. Yinka - So, what the study found was that women who were eating a Mediterranean diet and supplemented with extra virgin olive oil - not just any olive oil but extra virgin olive oil - had a lower risk of developing a breast cancer. Over 60 per cent lower risk of developing breast cancer compared to the women who were just given dietary advice to decrease their fat intake. Kat - A 60 per cent reduction in breast cancer risk. That sounds like a lot. Yinka - So, we had over 4,000 women and they were followed for about 4.8 years. At the end of that, there were 35 cases of breast cancer. Kat - That's not really a lot and that's a short length of time too. Yinka - Exactly. When we're looking to understand the length between lifestyle and diet, and the risk of disease, we would want to see many more people included in those studies, hundreds of thousands and many more cases to be able to really tell if there's a true link between how we're living our lives and our risk of developing disease. So, this is a very, very small study. In the context of the wider research, other studies that have looked in this area in the past have been inconsistent. So, this study alone doesn't really tell us much about the links between diet and breast cancer risk. Kat - Are there any things in the diet that we do know reduce the risk of breast cancer? There seem to be lots of stories in the media saying, this increases or decreases your risk of various types of cancer. Should we take these - apologies for the pun - with a pinch of salt? Yinka - It's really tricky to try and pinpoint any individual nutrients to the risk of developing breast cancer. The way these studies are carried out, they will pull out a particular chemical or compound from that food. They will use normally, a very high dose of that compound and then they might see results in the lab in a Petri dish. We aren't Petri dishes. So to be able to pinpoint one particular "superfood" or nutrient to the risk of developing breast cancers or any cancer really is very, very difficult. In terms of breast cancer, there isn't really any clear evidence of any particular type of food that might increase your risk. There's some evidence around fat intake but reducing your fat intake anyway will help you in terms of other diseases as well. 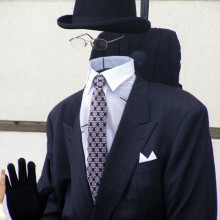 A new advance in technology could bring us another step closer to real life invisibility cloaks. A coating that can make an object appear "disappear" has been developed by scientists in the US. Science writer Mark Peplow has been taking a look at how it works. He revealed all to Chris Smith. Mark - It's Harry Potter time again, Chris! Researchers in California have created a tiny invisibility cloak which seems to be more effective at concealing objects than previous attempts to make these sorts of things. Because scientists have been working on invisibility cloaks since the mid-2000s. Many of them depend on meta materials. As light passes through them, it actually bends back on itself almost as if it was being reflected by mirror. So in theory, you cover an object with these materials and light from behind the object is bent around to the front so it looks as though the object isn't there anymore. Chris - So, what was the problem with those particular formulations? Mark - They tend to be relatively bulky compared to the objects that they're concealing. They were really difficult to make and they're very hard to scale up to work for everyday objects. Crucially, they change the phase of the light coming through. So, if you think of a light wave, the sort of peaks and troughs going up and down, in that exiting light wave, peaks have become troughs and vice versa. Now, it's pretty easy for instruments to see that phase change. So, if you really wanted to detect something that was being cloaked, it will be very easy to spot it because you can see this characteristic phase change. But these scientists at Berkeley say they have a solution to actually many of these problems. They made a small 3D object which is actually only the width of like a fine blonde hair. It's about 36 microns across and then they covered it in thin layers of gold and magnesium fluoride and topped it off with tiny pillars of gold that sit pround of the surface just about 30 nanometres high. Now, these act as antennae that reroute light around the object. Crucially, they also ensure that a phase of the light is unchanged. So the result, abra cadabra! The object disappears. Chris - Does it really disappear? I mean, it sounds like it could be ideal if you have a head of hair with one hair on it and you've got your root showing or something. But no, could you scale this? Could you crucially make a big version of this to do something practical? Mark - Well, that's one of the things that they're suggesting is different about their technique. They made them using electron beam lithography which is widely used in the semiconductor industry to make computer chips. They point out that you can do this sort of nanofabrication on meta long sheets now and their calculations, although they haven't done it yet suggests that you don't have to directly coat the object with this cloak. You could make a free-standing cloak that could be draped over it. For the moment, one of the main drawbacks is that this only works well with red lights. So again, that's a key thing that they are going to be working on in the future to try and make this work across the visible spectrum. Chris - Why does it work at all and why does it get around that problem of not flipping the light waves back to front like the previous tries that people have had at making these things? Mark - It's because it's bending the light in a slightly different way. The thing with the nano antennae is that the light is interacting with them and it's causing, if you like, ripples in the electrical charge around the surface of these nano antennae. Those ripples are what are then producing a beam of light which sort of shoots out. So, it's a slightly different process of channelling the light. If you like, it's translating the light from being light to being an electrical wave on the surface and then back out again as light. Chris - Do you think they will be able to surmount the colour issue? I presume this comes down to how big those antennae are on the surface because a red light wave is much bigger than a smaller blue light wave. So, can they get around that? Mark - That's exactly right, Chris. What they might have to do for example is tailor different sizes of nano antennae so that you're having some with one shape, some are a little bigger, some are a little smaller so that they can cope with different wavelengths of light to have this same effect overall. It's not impossible to do. It makes it more complex to make this. So, it remains to be seeing whether they can do that or not. 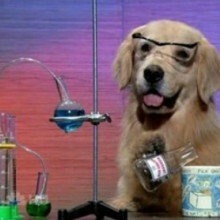 18:09 - Could your dog be a scientist? Dogs and their owners are being recruited as citizen scientists. Evan - So in this game, you would show the dog a piece of food and you would hide it in one of two places in front of them. So visually, they've seen where the food is but then you distract the dog and you move that piece of food over to another location. And then you very simply give them a choice between the two locations and then in terms of where they want to search. So, if dogs rely on their memory, they should search where they saw the object disappear but if their sense of smell that's driving their behaviour, then they would search for the food in it and its new location just basically using their nose to solve the problem. What we find in that context is something that surprises a lot of people which is their dogs aren't actually using their nose in this context. They're using their vision and their memory and they tend to search where they saw the food last. Jo - I couldn't wait to go home and try this, so I've roped my boyfriend in to see what our dog does when we put her through this test. "Do you want to try this? Come on then...Can you now distract her for a bit while I switch this over? Okay, go! There's nothing there." We tried this three times and each time, she went to where she'd see me put the treats, not where she could clearly smell if she wanted to where it has actually gone. Evan - There is no debate that dogs have incredibly sensitive noses but what we find is that actually, dogs rely on other senses very much and there are lots of cases where dogs will prioritise visual information over olfactory information. Jo - Do you know why that might be? Evan - If you think about vision and olfaction, olfaction is a great sense for trying to sort of put together the past when there's no immediate clues about the way the environment is. 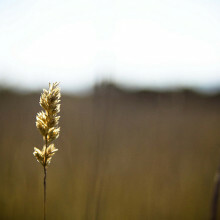 But if you're in the present moment, there's nothing better than vision. Jo - Yeah, so suppose it does sort of seem as though they're thinking along the same lines as what we would as humans. Evan - That's right. If we only had that sense of smell, I think we probably behave in similar ways. Jo - How did the citizen science results compare with your lab experiments? Evan - This was the main thing that we wanted to look at in this paper because I think the concern that everybody had was, well sure, we can ask all these dog owners to play these games, but they're probably going to be making up their data. They're probably going to be doing things to try and make their dog look good. We've had questionnaires about people that sign up for dog experiments. For every dog that gets signed up, the people think they're in the 99 per centile. So, we know there's a real bias in terms of people's perceptions of their own dogs. What we found is that actually, the data are incredibly comparable and then surprisingly so. So, the answers that we get through Citizen Science and the answers that we get in the lab differ by one to two percentage points, so it's amazingly similar. 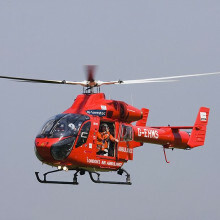 Meet the people on call to stop death in its tracks: London's Air Ambulance. Gareth - In London area, there are literally several thousand 999 calls every day. In amongst those thousands of 999 calls, there's probably 5, maybe 6 that require the specific interventions and skills of the Air Ambulance team. One of our big tasks is sieving all of those calls to find the needle in a haystack where the patients are so critically injured. They are literally in the dying process. Graihagh - Is that what distinguishes you from a normal ambulance to - I noticed you've got advanced trauma team on your vehicle. Is that what distinguishes you too? Gareth - I think that we have additional skills, additional equipment that we bring to the patient's side. So, we effectively try and bring what's inside a hospital right out into the pre-hospital arena where we can start those treatments as early as possible. Graihagh - I suppose, once you receive that dispatch, the clock is ticking to get to them as fast as possible. Gareth - For trauma patients, time is of the essence. Seconds and minutes really count. So part of the car checks, is taking all our equipment out of the boot and checking it, make sure it's all absolutely there. There's no point in turning up, waiting for one piece of kit which we don't have. Graihagh - There's a lot of it. Gareth - There is a lot of it. Male - Yeah, it's a bit of a tardis actually. Gareth - I left Gareth and Richard, our paramedic and driver for this evening to it whilst they checked over what seemed like hundreds of bits of kits. They really did have everything except the kitchen sink. And they wouldn't have needed it anyway because they had sterilisation wipes. Within an hour, the first 999 dispatch came through. A message popped up on Gareth's tablet, alerting him to the possible injuries that the patient may have. Interestingly though, Gareth didn't tell Richard the nature of the dispatch. This is to avoid any possible biases that paramedics may or may not have. For instance, Richard might be inclined to drive faster if he knew a child's life was at stake. 25 minutes later, we arrived at the scene. To protect the confidentiality of the patient, I turned my recorder off and under the same line of thought, I equally can't really describe what I saw. Not that I saw an awful lot because I rather embarrassingly fainted and found myself in an ambulance on the way to a hospital which rather scuppered my plans for this report. But fortunately, I managed to dial-up Gareth later, after I had recovered. Gareth - Will she just appear in my ear? Female - Yes, it's ISDN. Graihagh - Hello Gareth. How are you? Gareth - I'm alright. More to the point are you okay? Have you recovered from your trauma? Graihagh - Yes, thank you. I was rather embarrassed about that. Gareth - No, you shouldn't be. Graihagh - So thank you so much for taking such good care of me. Gareth - Well, I'm glad you're okay. Graihagh - Back at the scene, I was amazed at not only how calm and collected everyone was but also, how everyone's attitude was extremely soothing. There was a general sense of, "Everything is going to be okay. Don't worry." Despite the fact that doctors like Gareth are sent to scenes just like these because the patient is already dying. Gareth - Our patients are entering the dying process and they may do that through several ways. It may be as simple as they don't have an airway. Without oxygen, all of the cells in the body will eventually die. Sometimes patients may have problems with their circulation that might be the heart or there may be damage to blood vessels where the blood is simply leaking out. There is a part of the dying process that we haven't touched upon and that is when patients are injured, they release chemicals and those chemicals affect how cells utilise oxygen. They affect how the blood clots. So, there is this sort of hidden part of the disease which no one can physically see but we know is going on. So, we can do it at a macroscopic level with operations and what have you, but what's going on at a chemical level, we're beginning to understand and we're beginning to treat in some ways, but there's still a long way to go. Graihagh - I'm conscious about keeping this patient anonymous but what can you tell us about the situation? Gareth - In patients that have fallen from a height, they may be unconscious. They may damage their limbs, they may damage their pelvis. Inside the pelvis, there is a myriad of blood vessels and the minute those blood vessels get damaged they can ooze into the spaces within the pelvis with what is basically uncontrollable haemorrhage because you can't press it like you can press a cut on the skin. They can bleed to death from that. But we can initiate procedures such as REBOA which a new innovation where we can put a balloon in the top of the leg, float it up into the aorta - the main artery and close off that blood vessel temporarily to try and control some of this haemorrhage. Graihagh - I assume this is something that a paramedic wouldn't be able to do. This is something you, as a doctor can do. Gareth - Yeah. Some of the procedures are literally operations that would normally take place in the emergency department or in a theatre, so it's pretty high end stuff. Graihagh - I was going to say, it sounds pretty ground-breaking because what you're describing is surgery on the street. Gareth - Yes. There are circumstances for example, a patient that may have been stabbed and they have injuries to the heart, we can literally open the chest and then try and re-animate the heart by doing internal cardiac massage. Graihagh - Once you have stabilised your patient, what happens next? Gareth - As soon as we have established that position, we will always make our way to a hospital. We put in what's called a code red call which identifies to the hospital that they are quite literally bleeding to death. How do hospitals prepare for the arrival of critical patients? Once everything has been done for the patient in the field and they're en route to hospital, what happens next? How do A&E - the accident and emergency department - prepare for a patient that is bleeding to death? Dr Adam Brooks is the Director of the Major Trauma Centre at Nottingham, and he explained to Chris Smith how they prepared for a 'code red' situation? Adam - The first thing we do when we get a 'code red' call from the paramedics is activate the trauma team so that we get all the members of the trauma team down to emergency departments before the patient arrives. With a 'code red', we need the most senior doctors that we can get. So, that's consultant anaesthetist, consultant surgeon, consultant from the emergency department, all there, waiting for the patient. Everyone gets a job and we work with lots of protocols but we will task allocate everyone to a specific thing that they need to do so that we all work together seamlessly. The other thing obviously we got to do before the patient arrive is get the appropriate equipment. Some of that depends on the information we've received from the pre-hospital paramedics but we may need to be prepared to do surgery. We may need to be prepared to put tourniquets on limbs, anesthetise the patient, or move them very rapidly to CT scan to get further imaging or straight to the operating room. Chris - If you do have to take them to theatre, what would you be aiming to do in theatre to save their life? Adam - If we are taking a code red patient to theatre, what we're aiming to do is stop the bleeding. After the airway and breathing, that's the things that kills you. We still have far too many patients who bleed to death before we can intervene which is why that timeframe from injury through to definitively stopping the bleeding, definitive haemorrhage control is so important. So, we head the patient to theatre, we need to decide where we need to go to stop the bleeding. We may be doing that as surgeons, but we may also be doing it alongside interventional radiology colleagues, x-ray doctors, who can use techniques, float balloons, put wires into blood vessels to also stop the bleeding. But we need to decide, do we open the chest, do we open the abdomen, where is the most compelling source of bleeding that we need to address first? Chris - Why does severe haemorrhage lead to a person being at high risk of death? Adam - If you've not got blood to pump round you're not carrying any oxygen around to the cells. If you're not carrying any oxygen around to the cells, the heart will fail, the brain will fail. Chris - So, once you've got control of the bleeding, what do you do next? Adam - That sometimes may take a couple of goes. Working closely with the anaesthesia team, we've been resuscitating the patient with blood and blood products essentially, the equivalent of giving whole blood but in its constituent parts. Because our aim is really stop bleeding, the next thing we need to do is stop contamination. Certainly, if we're in the abdomen and the bowel has been injured, we don't want that bowel content or faeces to be swilling around the abdomen. So, we can staple off parts of bowel, we leave them stapled, we don't join them up. We'll quite often in the most severely injured patients not even close the abdomen. We'll do a temporary dressing, leave the staple off the ends of bowel in the patient, put a temporary dressing no the abdomen and then the patient continues the resuscitation through in the intensive care unit. The reason we do that is that the patient will have reached their physiological reserve. We can't push anymore. We can't do anymore. We need to get them some reserve back. So we need to pause that surgery and really now over the last 5 or 10 years, surgeons involved in trauma will be concentrating on the physiology rather than just the anatomy. Chris - How have practices in acute resuscitation like you've been describing changed in the last 5 or 10 years? What have we learned that we used to do that's less effective and that if we do different things now will actually save more lives? Adam - Well we used to give patients clear fluid, saline or another clear fluid called Hartmann's' solution to give them the fluid because we thought they'd lost blood, so we're going to give them some fluid. We don't do that anymore. For more severely injured patients, we need to give blood and blood products in a ratio, about 1 to 1, so that they have this chance of clotting. So, what's happened over the last 5 or 6 years is there's been a number of incremental changes. So the change in the way we operate, on physiology rather than anatomy, change in the way that we resuscitate, going to blood and blood products, a change in the timing of what we do, doing certain things in small parts. Because of that, over that period of time, the chance of death from haemorrhage in most severely injured patients has nearly halved. Chris - Wonderful! 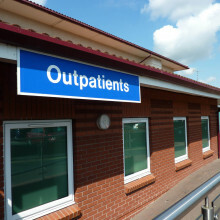 At the point that you have stabilised the person, that's when you hand them on to the intensive care doctors and they take them out of the accident emergency department and they will then look after them there where they have lots of different specialists who can come in and deal with them in that very, very specialist environment. Adam - Yeah, that's correct. most of the big surgery will be done in the operating rooms. We may have to start in the emergency department then move to the operating room. We stabilise the patient, we work with our anaesthetic colleagues and then we'll transfer that patient to the intensive care unit where resuscitation will continue but in a slightly different way, trying to give them back that physiological reserve and to continue what's been started at the roadside. How do doctors decide when to withdraw treatment, and how can one person's death save another life? Sometimes life-saving procedures aren't enough, and there comes a time when a decision has to be made to withdraw treatment and allow a person to die peacefully. Dr Ari Ercole is doctor in the intensive care unit at Addenbrooke's hospital, and he explained to Kat Arney how this decision is made. Ari - So, these are incredibly difficult and very emotive thoughts and concepts. Intensive care is all about keeping the body alive while treatment succeeds hopefully to sort out the underlying disease, not just trauma but other life threatening infections and various other diseases. Sometimes those diseases are too severe and things become futile. Under those circumstances, that's relatively straightforward if it's clearly futile and the patient isn't going to survive then we shouldn't proceed. There can also be quite difficult situations when in fact, actually, what we may be doing is going against the wishes of the patient if we're not careful. So for example, some patients may arrive at a state of acute or life threatening illness after a long period of chronic illness. Generally speaking in medicine, what the key priority for us as doctors is to think about the autonomy of the patient, what it is the patient would want. Generally speaking, we would never offer or enforce a treatment on someone that they didn't want. The difficulty in intensive care of course is that many of our patients, in fact, most of our patients are unconscious because the disease whereas the necessary treatment induced in coma. And so, what we then have to do is think a little bit about try and understand what patients would find acceptable in terms of their treatment. It's pretty tough being critically ill and it's not necessarily for everybody. Now, the only way we can really find that out is to speak to family, try and understand that particular patient and formulate an opinion of what they were like, what they would want or they would not want. Kat - In terms of the clinical signs and symptoms that you're looking for, are there particular things where you can say, "I think we should stop now." Ari - There are some situations. They're probably in the minority where it becomes very obvious. So for example, brain stem death, we know there is no recovery from brain stem death and therefore, we really have to stop. This person has died, their heart may be beating. We're getting oxygen into them because of the life support system, but they cannot recover. But those are probably the minority. One of the difficulties in medicine, it is very often difficult to know exactly what the final outcome is going to be. So, this can pose us with real clinical and ethical decisions. The main thing we have to consider is what that patient would have wanted if we can possibly ask them. Kat - Once that decision has been reached, that we've come to the end of the road. It's time for this person's treatment to be stopped, what actually would happen then? What sort of processes? I assume that it is not just like you pull the plug out of the wall. What actually happens? Ari - No, not at all. I think that's the really important point. So, the way I like to look at it is really, we're changing our attention from - we've been trying to prolong life. We've come to a point at which we've realised that actually, what we're doing is we're prolonging death instead of prolonging dying process. And then what we really want to do is change our attention from that physiological support, that life support to thinking very hard about how we can keep people comfortable in the last minutes or hours, or sometimes days of their life. So, it's very much about changing from technology and keeping the patient alive to palliative care and controlling symptoms and keeping them as comfortable as possible. Kat - And to end on a slightly more positive note, obviously, we do hear a lot about stories of organ donation when people have ended up in this situation, and have become organ donors, tell me a little bit about that process. How does that decision get made and what happens? Why is it so important? Ari - Yeah. I mean, for a lot of people, the decision to donate their organs is one that may give some meaning to a death and actually, can improve the quality of lives and survival of a great number of people. So, the organ donation originally arose from sort of brain stem dead patients as donors. These are patients in whom whilst their brain has irreversibly destroyed or damaged, the heart is still beating and with life support, oxygen can get into the lungs and the organs are still well perfused, and survive very well and may be very healthy. In recent times, there've been huge advances in so-called donation after cardiac death. The problem with the heart stopping is of course at the same time that it stops blood getting to the various organs and the organs then also subsequently die. But in situations such as in intensive care where life support is being switched off, and we have some idea about the timing of the heart stopping, it may be possible to organise things in such a way that organ donation may still be possible. Kat - And sort of very briefly, to encourage people to become organ donors or to think about it and look into the process, what should people do if they think, "Yeah, if the worst should happen, I want to help"? Ari - There are lots of resources out there and particularly, we've had some huge numbers of different resources. I think more than anything, the most important thing is to make your wishes known, discuss it with your friends and families. If you do feel that you would like to donate your organs then ensure that you're in the donation register. Kat - We've had a tweet in from listener (Ed Wilson) and he raises a really interesting question. 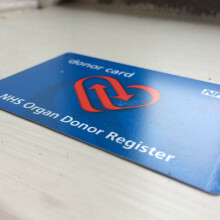 Are organs ever unacceptable for donation if for example if people have been given certain drugs or treatments? Ari - I would say, that's almost never a consideration whilst it is true that some drugs can cause organ damage, that's almost never severe enough to preclude organ donation. Kat - Are there any circumstances that do save certain diseases or illnesses that would? Pioneering medical treatments mean that more and more people are surviving serious trauma. But being discharged from hospital isn't the end of the story. It can take months or even years to recover from - or adapt to - the consequences of severe injuries, particularly where the injury is to the brain, as Graihagh Jackson found out when she went to Headway Cambridgeshire, a charity that helps support families and people who've suffered a brain injury, and met Colin Shephard to hear about his experience. Colin - I suffered a brain haemorrhage in 2001. I remember going down to a shop to buy a newspaper and I remember collapsing on the floor. The next thing I knew, I woke up in neuro critical care. It was strange. I had no idea where I was and what had happened. I had no idea what a brain haemorrhage was. When I was told I was paralysed, it hit me like a ton of bricks. The first reaction was, how was I going to cope at home? That was the first thing I remember. Concern for my wife: could she manage? Graihagh - Was there anyone to support you through this? What sort of help was available? Colin - I had home visits to assess my needs at home which was quite handy, because I really had no idea what I would need. Graihagh - Was there any support that you wish you did have that you didn't get perhaps? Colin - I would have liked some support for my family, they seemed to suffer quite a lot. I think the family were unsure how to treat me, because I didn't want to be treated any different really. I alaways had this fear that would be and I still do today. Graihagh - What's helped you get to where you are today? Colin - Headway has been my lifeline, it's been brilliant. The biggest thing I get out of Headway is bulding things like confidence, cognitive skills, and gives me a big understanding of what's happened. And I found that really important because when you have a brain injury, everything shatters your life. I know now why I get frustrated, why I can't remember things, but Headway has made me aware of those and given me support to put those things right. James - I was just out for a normal drive like everybody does every day. A nail punctured the tire of the car that I was in. it spun off the road and hit a tree. So, in a minute, my life kind of changed. I was treated by the East Anglian Air Ambulance at the scene as we kind of heard described earlier on and flown to Addenbrooke's Hospital. When I get to hospital, I'm put in a CT scanner and they find that there's really quite a severe injury actually to my brain. Chris - What does the scan look like? Which bit of your brain is affected? James - The most obvious thing you can see when you look at the picture and I have looked at the picture a lot, it's quite a large area of bruising and bleeding. Now often in brain injuries, you might have a haemorrhage, kind of on the surface of the brain or just outside the membranes around the brain. And in most cases, you'd have a surgery to remove that blood. My injury actually was intercerebral, actually, inside the brain so it wasn't treated. But it's very important to make sure that it's not going to get worse. So, I have got a little whole drilled in the top of my head and they use that to monitor the pressure and the blood flow inside the brain. The real problem after a serious brain injury is that things can get worse. There's nothing you can do really about the initial injury, but you can give treatment to stop things getting worse inside the brain. Chris - I suppose we should emphasise here that because your skull is a sealed space, if the brain swells, there's nowhere for it to swell into because it presses on the skull and that can obviously compound the injury that's already been done. James - Well, that's right and also, that increased pressure then will restrict blood flow to other areas of the brain. So, we get this hypoxia, this lack of oxygen to certain parts of the brain and then that's what causes these secondary injuries. Chris - When did you first become aware that you'd ended up out of the car accident and you were in a hospital? James - Yeah, I don't know. It's not like in the movies where you suddenly wake up and realise what's going on. I had a prolonged period of post traumatic amnesia, so I just couldn't store memories. So, I don't remember waking up. I don't remember being told what had happened to me. I had the kind of more gradual realisation that I was in a hospital and really, not very well. Chris - How has it affected you? James - I've had to learn over the last 4 years or so that I need to slow down. I can't do things at the pace that I used to do. I can do everything that I used to do but it takes longer, and it's much harder work. So the biggest change I've had to make in my life really is to plan things. I need to know in advance what I'm doing and when I'm doing it. Chris - How long did it take you to realise the constraints that you were facing in terms of what you used to be able to do and what you now could do? James - Probably, 6, 8 months, but yeah, my family would say, "He hasn't learned yet" because I still push myself too hard sometimes because I expect to be able to do things that I've done for 40 years. Chris - What did you do to recover or rehabilitate yourself from your injury? James - Mostly, I just had to try and do things. I had quite a bit of support from professionals when I was in the hospital and a little bit as an outpatient afterwards, just really trying to do everyday things - so making cups of tea and beans on toast and normal things. What I had to really push myself to do is the things that were normal for me - so trying to get back to work, so using the computer, cooking the kid's dinner at the end of the day. Chris - A person who is pushing themselves to do things like you did, what is that doing to the brain in order to promote recovery? James - What we need to do really is relearn and when we're learning things as young children, we're reinforcing these neural pathways in the brain, making connections that the neurotransmitters will pass along from cells in the brain and we're just reinforcing new pathways. So, repeating actions continuously and pushing is hopefully cementing and reinforcing these new pathways in the brain and helping us to learn stuff. Chris - Some people characteristically get much better outcomes than others, don't they? Have you any instinct for what makes that difference? James - It's kind of a big unknown around brain injury really. There's some fascinating research which came out in 2014 building on an idea of something called cognitive reserve. The idea of cognitive reserve is that some people have this kind of backup if you like, enhanced ability to relearn things. So, this study used number of years of education as a kind of proxy measure for this cognitive reserve. The thinking being that the longer you've spent learning stuff, the better you ought to be at learning new stuff or relearning things. What they found was a really dramatic result. People who had done further in higher education, been through a university, had a huge increased chance of having made a good recovery after 6 months, something like 6 times the chance of a better recovery. So, using your brain seems to help it recover after injury. Chris - In your case, have you been able to recover pretty much all your function or a bit with some limitation, you can hold down a job and go about your life in a happy go lucky way? James - I can do everything that I used to be able to do, but everything takes me a bit longer and I still suffer enormously from cognitive fatigue. So, things that are very taxing on the brain will get me literally really very tired. So, going to supermarket, sort of very busy, noisy environment, 6 million different kinds of baked beans to choose from and banging trolleys into, that will leave me really exhausted. There was an interesting study. They put some people in fMRI scanners and got them to carry out simple tasks and compared the brain activation of people with brain injury to those without. And they found that the brains of people who have had an injury were actually more active. They're literally working harder to do the same tasks. So, that may explain this kind of problem of fatigue. Chris - What would be your advice to somebody who may find themselves in the same position as you and what would you urge them to do? James - It's easy to say, "Just have a go and try and do stuff" but you need to give that caveat of, "Don't try and do too much too soon". A common story is pushing too hard, trying to go back to work too soon and not being able to cope, and then having a huge kind of psychological effect of failure really. So, try things, do things, but accept that you will have limitations and you're never going to be back to the same person that you were before. It's really very unusual for people to make 100 per cent recovery and be the same as they were before their injury. But you can get close to it and you can embrace the new you and run with that. 50:33 - Why is gooseberry jam red when gooseberries are green? Why is gooseberry jam red when gooseberries are green? Charis Lestrange put this thorny question to Dr Sarka Tumova, a food scientist at the University of Leeds. Sarka - This question also really intrigued me. My mother often makes jam from green gooseberries and the colour is never red but rather dark yellow or light orange. It's a colour change either way. Charis - We also had a mixed response on Facebook. Jodi Knight thinks it's just the difference in the colour of gooseberry used. Mike Sharp asked, "what even is a gooseberry?" Well, a gooseberry is a round fruit with translucent hairy skin which according to Ndileka is spooky. But why would green fruit give rise to red coloured jam? Sarka - The answer as to why this happens is not so straightforward. To put it simply, it is the original fruit colour and changes in conditions during the process of jam making. When you make a jam, you mix sugar and fruit, pectin and a source of acidity and heat it until gelling process starts. Charis - I've always heard of the word pectin but what actually is it? Sarka - Pectin is a plant polysaccharide or a type of long sugar which is important in plant growth and defence against disease or parasites. Luckily, for food lovers, it also happens to be a very good gelling agent which can turn a mix of sugar and fruit into a tasty treat. Some fruits like gooseberries have a lot of pectin, but some need to have pectin added when you make jam from them. Charis - But this pectin gelling agent wouldn't give it a colour, would it? 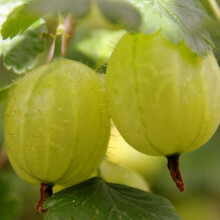 Sarka - No, but gooseberries also contain pigments called anthocyanins and it is these colours that make fruits like cherries red or blueberries blue. Interestingly, they are known to change colour when in different acidities or when they are heated and breakdown into smaller pieces. Charis - I see. It's the mixture of the change in acidity and these pigments. But when I make jam, I don't change the acidity or at least not on purpose anyway. Sarka - Actually, you might. If you're adding lemon juice, which is done for some fruits that don't have enough acidity but not for gooseberries as they're sour enough on their own. In this case, I think it's rather the fact that during cooking anthocyanins come into contact with other pigments, pectin or any metal ion which may be leeched from the cookware. This makes the new combination to the different colour and in this case, it's red or dark pink. There could also be other effects from heating the jam when more complex pigments get broken down to smaller pieces with different colour. Charis - This explains why the colour changes but why doesn't it change colour every time? Sarka - This could be down to differences in the exact composition of anthocyanins or maybe other pigments in the fruit which is known to depend on the fruit variety, ripeness or properties of soil in which the gooseberries were grown. But my personal favourite explanation is the type of pan which could lead to the right composition of metal ions. Charis - I hope this has given you some food for thought the next time you go gooseberry picking. Next week, we'll be answering this question that has been sent in by Anders. Anders - Why do power lines make so much noise? Previous Does stress affect elephant fertility?